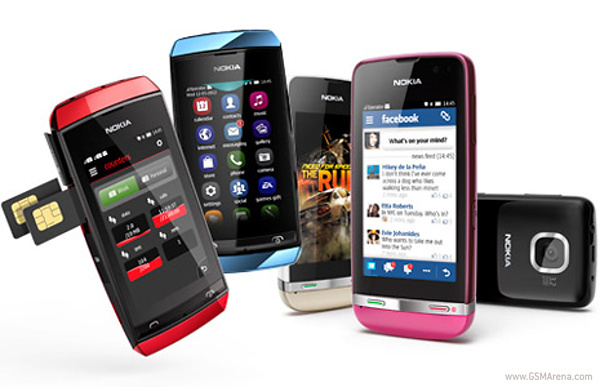 Nokia has started the rollout of a major software update for its Nokia Asha touch devices and the update brings few exciting new features and functions to the featurephone lineup. The update comes with enhanced support for mail for exchange, a dedicated YouTube launcher and improved social experiences. Some features will remain specific to different models, but the update with all its tweaks and fixes will be available to all the Asha touch phone users. Furthermore, the software update for the Nokia Asha 305, Asha 306 and the Dual-SIM variants of Asha 308 and Asha 310 will now support WhatsApp, a popular third-party messenger, for the first time. The software update is available over the air (OTA) or you can update your devices via Nokia PC Suit. Check out the video below for more information on how to update your Asha devices. If that didn't help you can also try the source link below for a step-by-step tutorial.